On day three our objective was to leave the northern coast of Asturias and drive into Castilla y León with plans to visit the major cities of the region but first we would be visiting the capital city of Asturias – Oviedo. After breakfast we settled up with the owner of the hotel, Santiago, and he invited us to return and with what I thought was a very nice touch he said that we should henceforth consider his hotel to be our home in Spain. This entry was posted in Cantabria, Cathedrals, El Cid, Europe, History, Spain, Travel, World Heritage and tagged Asturias, Cudicillo, Culture, Life, Oviedo, Photography. Bookmark the permalink. All of Northern Spain is a wonderful place to visit and because of the Celtic roots so different to anywhere else in Spain. Would you recommend oviedo as a place to stay in its own right, or is there not enough going on there to justify it? Looking forward to hearing about Leon and hope it was worth the drive! 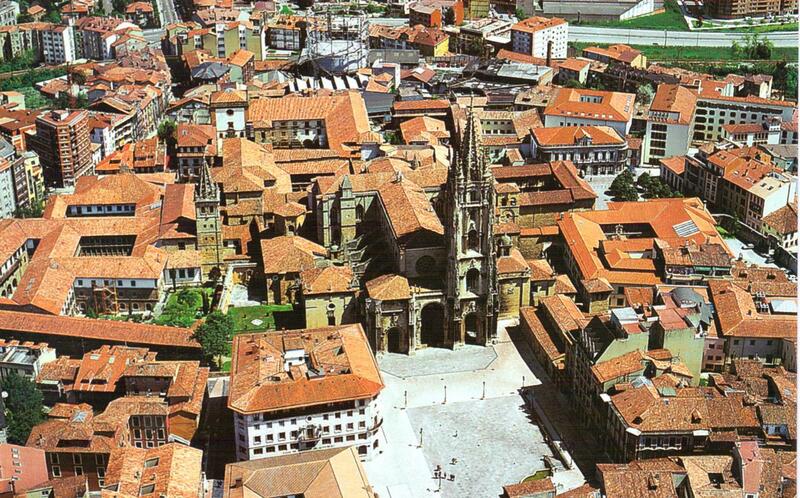 Oviedo was good – I’d stay there, it’s close to the coast and the mountains so plenty to do. I am going to do a round up of the cities we visited at the end but I’ll tell you now that Leon was not my favourite.